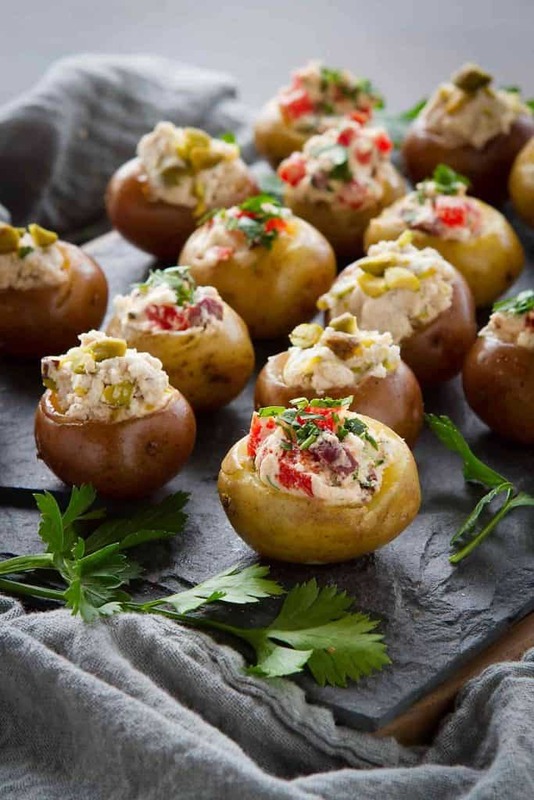 These Greek-inspired Mini Goat Cheese Stuffed Potato Appetizers are fantastic for entertaining. One filling is sweet, the other savory. Both are addictive! 79 calories and 3 Weight Watchers Freestyle SP Thank you to The Little Potato Company for helping me share this recipe with you. 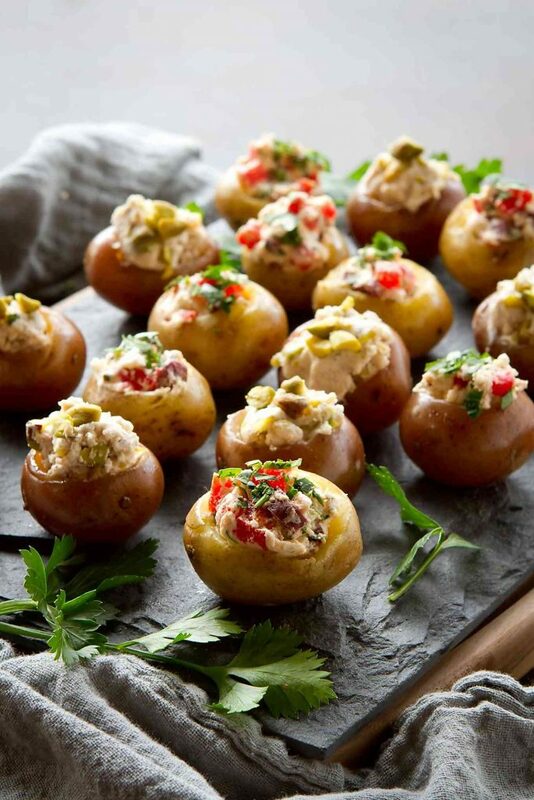 It wasn’t until I made my first batch of Mini Spinach & Artichoke Stuffed Potatoes that I considered using little Creamer potatoes for bite-sized appetizers. But now I’m determined to come up with as many variations as possible to serve at cocktail parties and game day get-togethers. 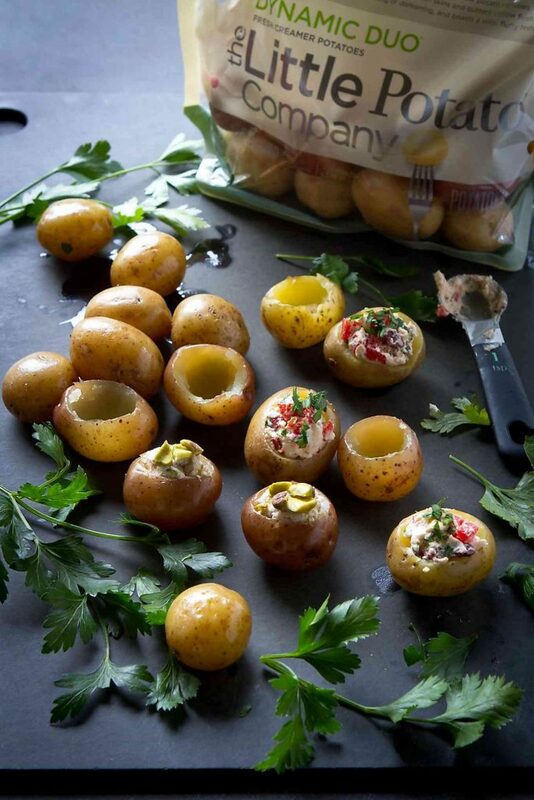 Enter…goat cheese stuffed potato appetizers! I was inspired by the dual colors of the Little Potato Company Dynamic Duo Creamer potatoes. Wouldn’t it be perfect to stuff each of them with a complementary filling? 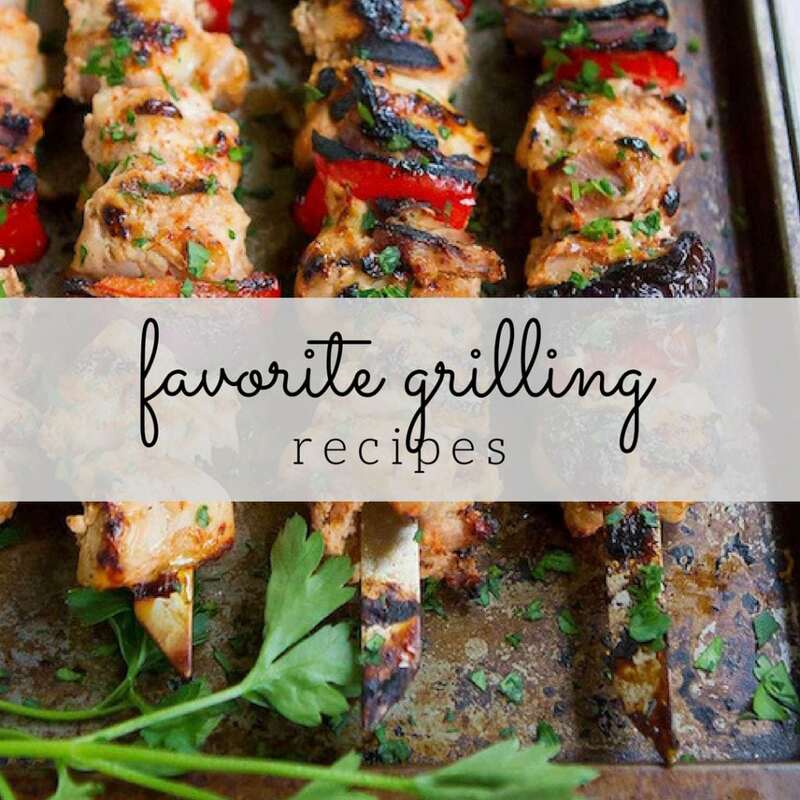 Sweet and savory, both with Greek-inspired flavors. Start by boiling the potatoes until tender when pierced with a fork. Take care not to overcook the potatoes so that they don’t fall apart when stuffing them. While the potatoes are cooking, prepare your two fillings. Divide the goat cheese into two bowls. The first filling is a simple savory mixture of roasted red peppers and kalamata olives. The second filling is a riff on baklava, the classic Greek dessert. A drizzle of honey and a sprinkle of chopped pistachios turns the goat cheese into a not-too-sweet filling. And it just works with the potatoes, which shocked the heck out of me when I first made these! Using a small, sharp knife, cut a small circle out of the top of each potato, then scoop out some of the flesh using a 1/4 teaspoon measuring spoon. If the potatoes are rockin’ and rollin’ around on the cutting board, cut a small slice off the bottom of each potato so that they sit flat. Stuff one color of the Creamer potatoes with the savory filling and the other color with the sweet filling. Then watch them disappear from the serving platter in minutes! Place the potatoes in a large saucepan and cover with cold water by an inch. Bring to a boil. Cook until the potatoes are tender when pierced with a fork, but not falling apart, 15 to 20 minutes. Drain and let the potatoes rest until cool enough to handle. 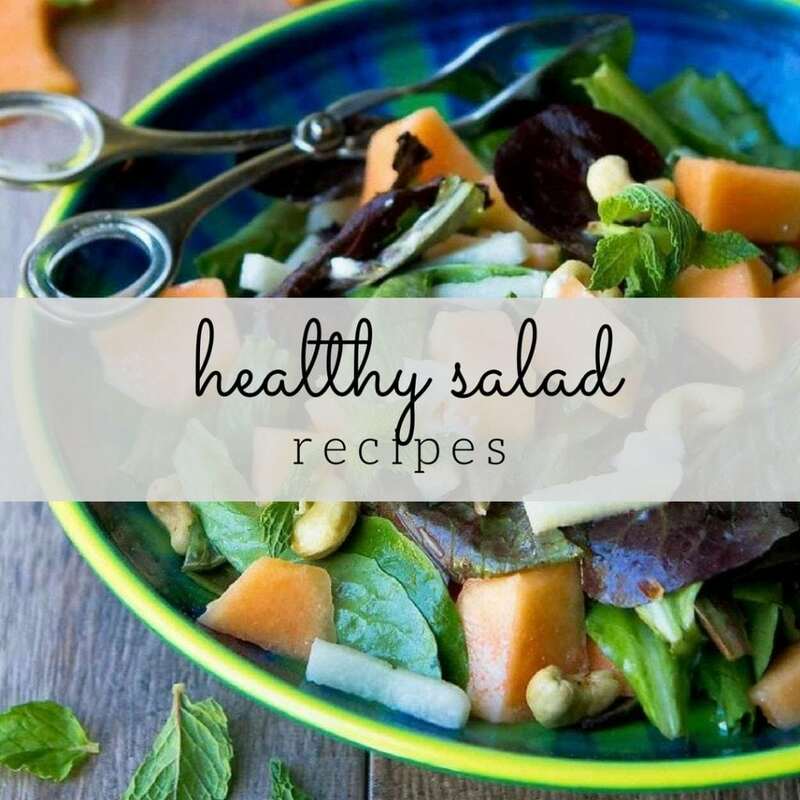 While the potatoes are cooking, prepare the fillings. In the first bowl, stir together the goat cheese roasted red pepper and Kalamata olives. In the second bowl, stir together the goat cheese, 2 tablespoons pistachios and honey. Scoop about 1 teaspoon of the savory filling into half of the potatoes (you could choose one color of potato) and garnish with parsley. Scoop the sweet filling into the remaining half of the potatoes and garnish with the remaining pistachios. Arrange on a serving plate. Serve. Disclosure: This post is sponsored by The Little Potato Company. All opinions are my own. This post contains links to my Amazon affiliate page. Any revenue made from sales through these links helps to support this blog. Thank you! Love these! Perfect for the holidays. This looks like the perfect holiday appetizer idea! These are so beautiful, and I love the flavors you incorporated. 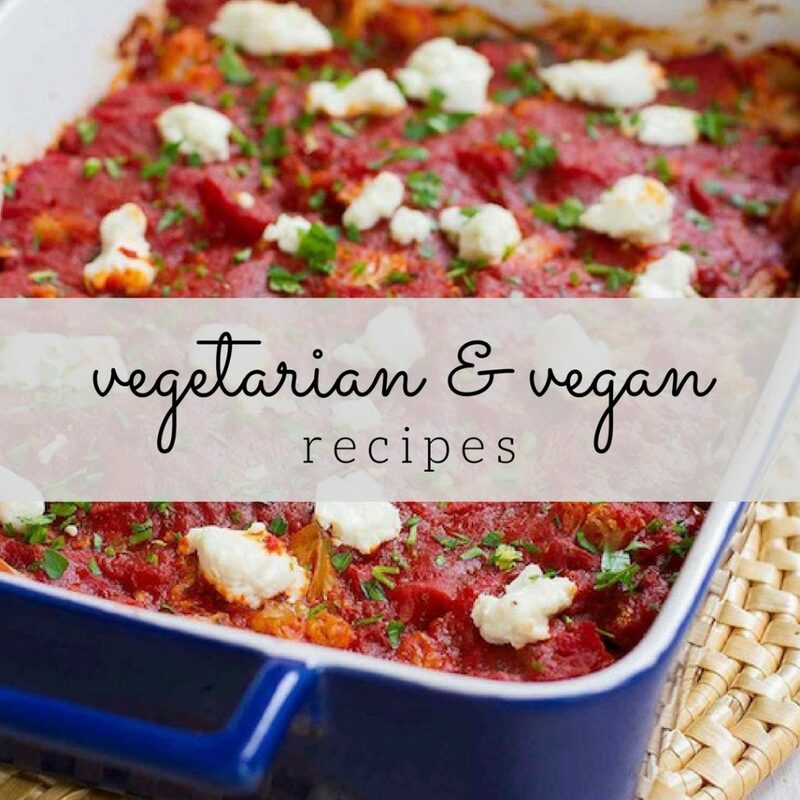 Goat cheese and potatoes are such a wonderful pair! This is such a fun appetizer idea! I just love the sound of the goat cheese with the potatoes. I am so with you – the appetizers are the best part of the holiday parties! Looks so good! !